“What kind of garden are you making?” It’s the question I hear most. (Well, maybe tied with “When will it be done?”) English… American… New American…Dutch… Japanese? So lately, while I’ve been designing the perennial borders I’ve been mulling the possible answers. In some ways the answer to all of the above is “yes, yes and yes”. But the real answer is, it depends what you mean. So here is what I mean by each of the above labels and how the Timshala gardens fit – or don’t fit. To me the essence of an English garden is that it is plant-focused. 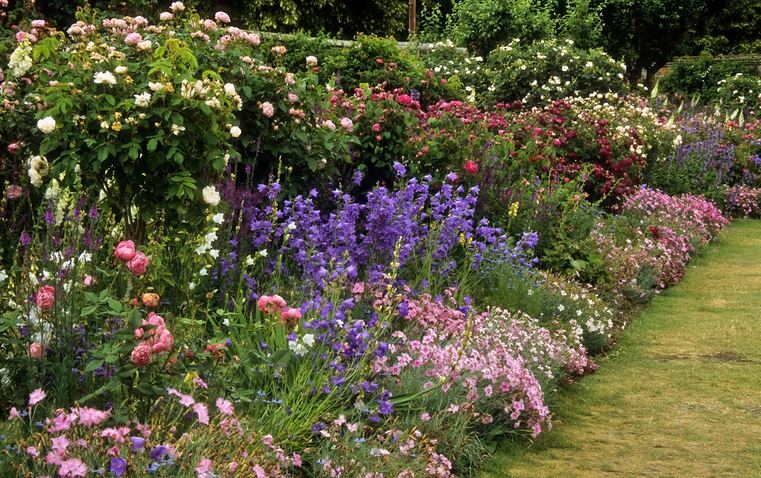 Whether it is a tiny front-of-the-house cottage garden or an estate with acres of lawn, trees, meadows, flower borders, an important part of an English garden is the plants themselves. The plant-obsessed English gardener knows the Latin names of the plants, thrills to see and discover the way an unfamiliar plant grows and flowers. That describes me! 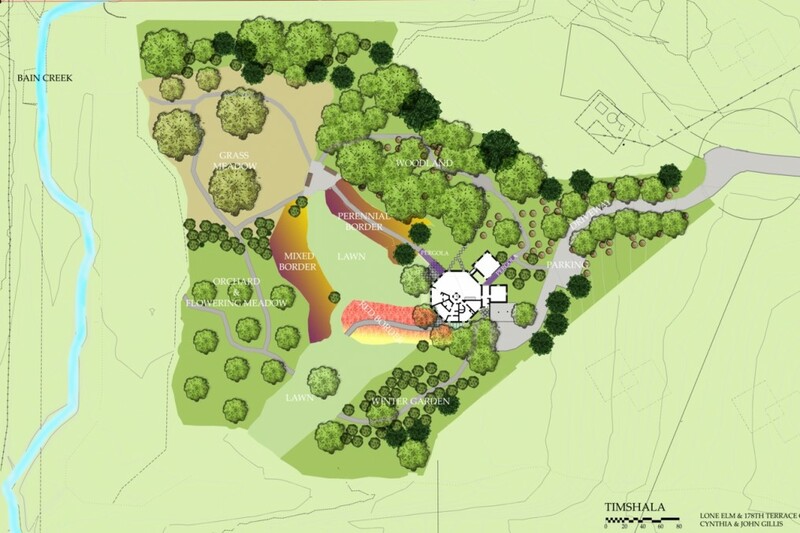 But the difference is that to the English gardener the plan, design, layout is of secondary interest at best. That does not describe me. The American garden? I find that Americans often want a garden (or ‘yard’) that looks cared for, neat, and is a place for children to play and have occasional cook-outs. The idea of a master design or plan — or design at all — is quite alien. The selection of plants is often based on what is commonly available. And what is commonly available usually depends on what local nurseries have found will do well in a particular locale. Plants found in a California nursery are nothing like plants found in New Hampshire. The habitat is therefore very important here. I too choose plants based on habitat. But also based on a design. What is now called the New American Garden was probably begun by Oehme & Van Sweden, a firm of Landscape Architects, whose brilliant, original design technique was to use plants – largely massed perennials and grasses – to create and define spaces within a garden. This definitely resonates with me. There is a passion for plants, and for design. But I love a complex mixing of plants, within the spaces created by the massed plants and structures. I added the Dutch style because of the great designer Piet Oudolf. He has created gardens in a kind of ‘prairie’ style, using brilliant, complex perennial and grass combinations. Unlike in the English garden, the changing appearance through the seasons is important. He treats the whole plant, year-round, as part of the design. So the seedheads, stalks, dried leaves are all part of his design, and give year-round interest. And I intend that some areas of Timshala will give that experience. But not all. I am trying to create a series of gardens which are different one from another…have different views from different places in the house and as you stroll in the garden…yet work together. Which is why I include Japanese style in my list. Because the idea of a Stroll Garden originated there. 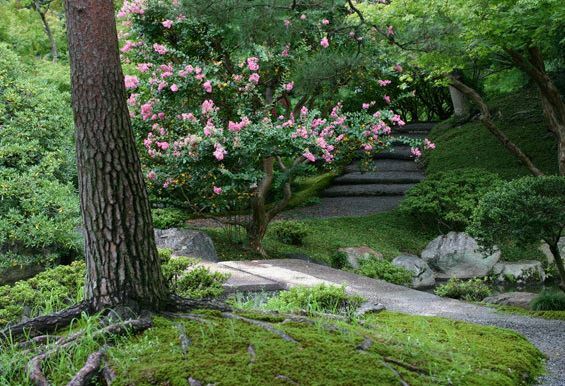 As you move through a Japanese garden the experience changes and the paths draw you in, from one area to the next. And what I’ve come up with, as a description of Timshala is: the Modified English Garden. – An English passion for plants, with the opportunity to examine and study, close-up, the individual plants. – Plants chosen by the American habitat they need to thrive. – Spaces shaped by masses of plants, including trees and shrubs, as well as by the shapes of the house, the paths, the arbors. – Complex interplantings of plants. – Seeing and using all the qualities of the plants as the seasons change. – And a changing experience at each stage of a stroll. One final comment: There are a lot of other ways to answer the same question. Many years ago, when I was just beginning to make gardens, an acquaintance asked me the question. “What kind of garden….”. I answered in considerable detail, outlining some of the qualities I’ve just described. I finally stopped for breath, and my now glassy-eyed friend said, “I meant are you growing vegetables or flowers”. This entry was tagged American Gardens, Dutch Gardens, English Garden, Garden Styles, Habitat Gardening, Japanese Gardens, New American Gardens, Oehm & van Sweden, Piet Oudolf, planting design, Stroll Gardens. Bookmark the permalink. Enjoyed reading your descriptions and intentions…I am very “English garden”….that’s what made me want to garden in the first place. After the success with the tomatoes Sam had this year, I want to try some vegetables next. Your last reference to flower vs veg is in my experience the MAIN question asked when you say you garden and it always surprises me. 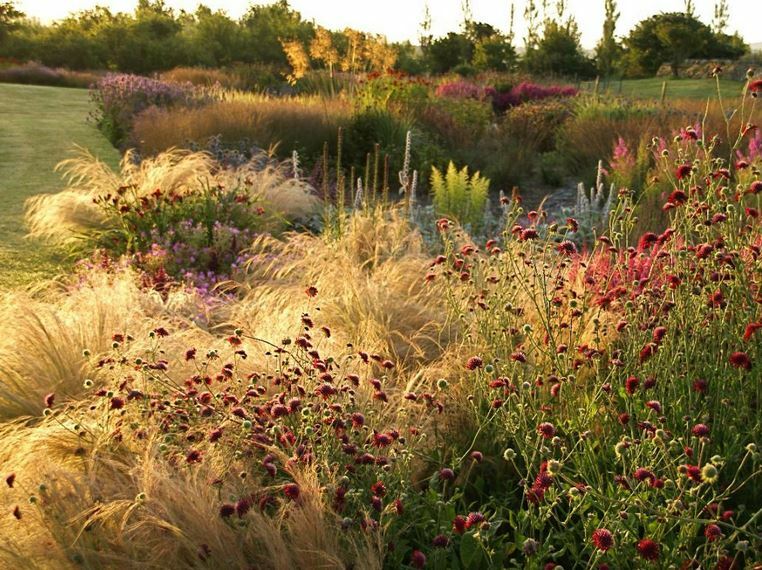 Piet Oudolf is one of my garden-heroes. I have 2 of his books I refer to often for ideas and inspiration.